A survey in February 2009 found that the amount that parents are having to shell out on extra costs for their children’s education has risen by 4% in five years, with parents spending on average £683 per year if their child is a primary school pupil, going up to an average £1,195 a year for secondary school students. Extra costs place a burden on parents, so think in advance about what these will be. This article takes a look at all the extras you might see on your school fee bill during your child’s education. 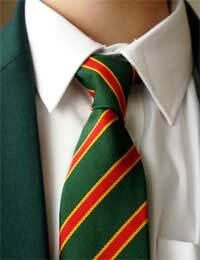 A substantial and regular extra cost is school uniform. Normally this will involve shelling out a large lump sum at the start of school, followed by regular top up payments whenever your child grows out of his or her clothes. Most schools try to keep the cost down, and many offer second hand uniform sales for leaving students to sell their clothes on to other students. You may be able to buy generic summer dresses and grey trousers at High Street stores like Marks and Spencer’s or Asda, for example. But at some schools, the uniform will have an exclusive supplier whom you have to buy from, which normally pushes up the cost. Be aware that state schools especially should not have uniform contracts with sole suppliers - that would involve breaching government guidelines - and you should contact the Office of Fair Trading if you feel this is illegally occurring. If you are struggling with the cost of school clothes, you may find your local educational authority can offer school clothing grants, so contact them to find out more. Although school trips tend to be billed as voluntary - except for, say, GCSE fieldtrips which may have an educational or qualification element - and schools are not allowed to force parents to contribute funds towards trips if they are an included part of the curriculum and/or taking place during school hours - other trips, however, may be the parent’s responsibility to fund. If a family receives free school meals then they will not have to pay any residential costs of school trips. Schools and local educational authorities may also have funding grants available to other children whose families could not otherwise afford to send them on trips. Families do not have to pay for their children’s school lunches if they are beneficiaries of benefits including income support, income-based Jobseeker’s Allowance, or support under Part VI of the Immigration and Asylum Act 1999. Some children of parents who are recipients of Child Tax Credit will also be eligible for free lunches, if the parents do not receive Working Tax Credit and have an annual income less than £15,575. All other pupils, however, will normally have to pay for school lunches as an extra cost. If your children want to become involved in non-curricula based activities, such as extra music, art, drama or sports lessons, these will normally incur additional fees for parents. Since these fees usually increase as the child grows older, you may want to take into consideration the average total cost when beginning to pay for such activities. Bear in mind that learning in groups is one way to achieve cheaper lessons and cut the costs of extras. @lairlou - Unless you are one of the few lucky people who can afford school fees from your income, especially in the current economic climate when things are difficult for many people, there are bursaries. But bursaries can't really be relied upon and you should really have a plan B, to afford school fees and the additional extras that being in a private school may cost. Plus, because of the recession many schools have been inundated with requests for assistance from parents who can't meet the payments, many frmo long term students that might have been with the school from the beginning of theri education. You don't give the reason for your daughter being accepted into the school. While there is fee assistance bursaries can be based both on need and scholarships/bursaries awarded on merit.Many private schools have charitable status, so you might want to look at the Charity Commission which can help to make private education available to families on lower incomes. But, if you have looked at this and missed the deadlines I don't think there is anything else you can do that would bridge this gap apart from paying the fees until you can apply for the next round of bursaries. But unfortunately these can't be relied upon to foot the costs of your child's education long term. My daughter has been accepted into a private school but we weren't informed of how and when to apply for a bursary and now she has missed out. Any advice on how I could raise the funds. Im a single mum of 3, carer to my youngest and i only have a small part time job. I cant afford 14 thousand pounds a year for 5 years.